Thai soap "Natural balance" with the avocado and other plants do not dry the skin, and performs the reverse process, i.e. hydration. Soap well washes away flakes of dead skin than contributes to the renewal and rejuvenation of the cells. Avocado is known to a tropical fruit that is used not only in culinary dishes, but also used in cosmetic products. In our case it is soap. What brings the avocado in the "soap process" and why soap is called "Natural balance"? Avocado is filled with unsaturated fats, vitamins E, D, B, A and a great as a natural product for skin care. "Moreover," hygiene products, soap, Madame Heng, avocado helps to soften the skin, rejuvenate it, making smooth and clean. In parallel with the process of purification and rejuvenation is the process of nourishing the skin with a bunch of vitamins. Join avocado extracts of ginger and turmeric give the soap antibacterial properties, which helps to rid the skin of pimples and other purulent lesions. 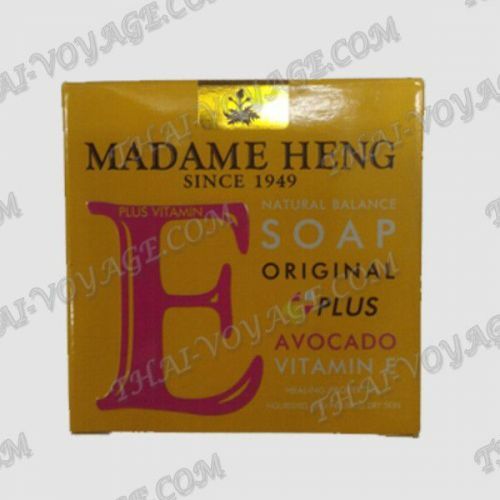 When ordering in our online store "Thai Voyage" Madame Heng soap with avocado, you get the purity and health of your skin.